Since the beginning of bodybuilding, the PUMP is what we strive for in the gym. We want the PUMP to last. We want to LOOK big even after the gym. It’s always been all about the PUMP. 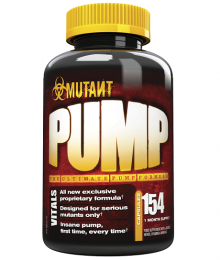 Now — MUTANT PUMP is hands down the most addicting MUTANT supplement ever brought to life. You may think you know what a real pump feels like. But wait ’til you try this scientifically sick formula. 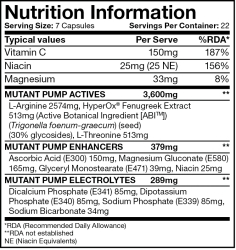 And best of all, with MUTANT PUMP you will get a muscle swelling pump of epic proportions. It’s all about the PUMP!